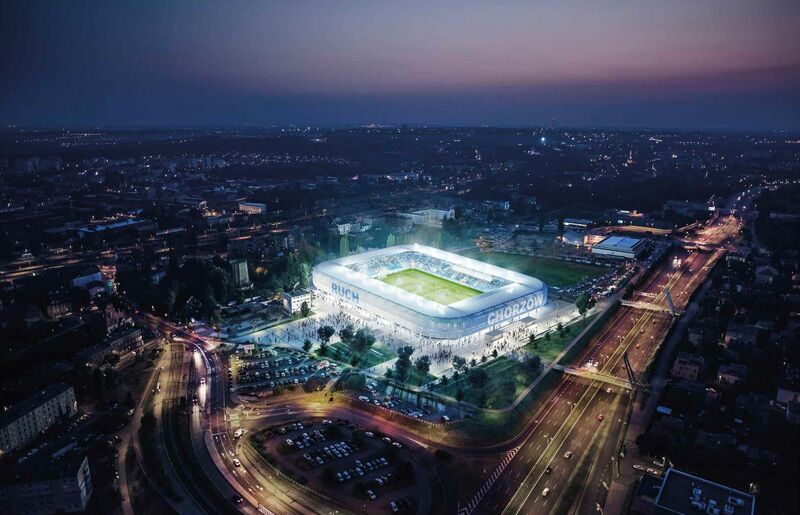 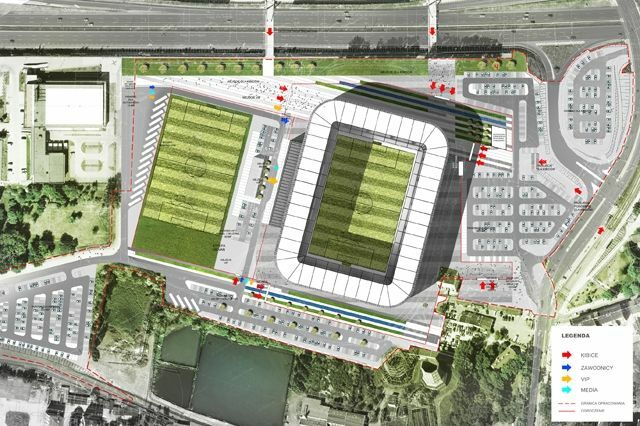 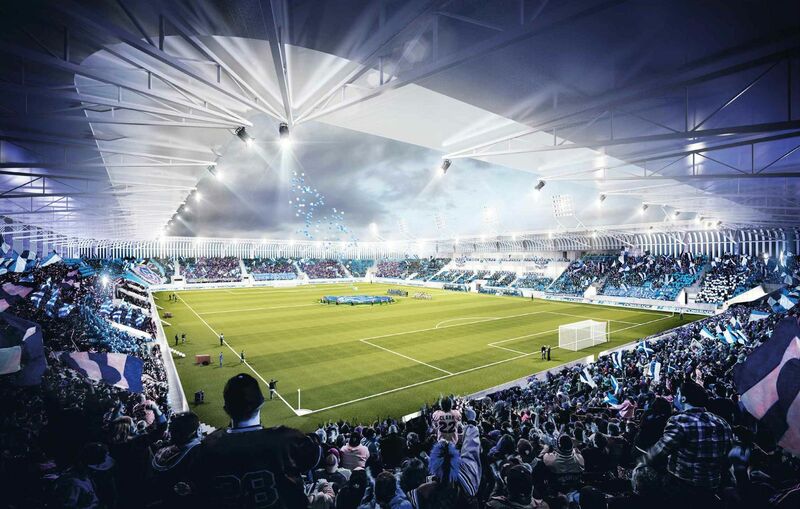 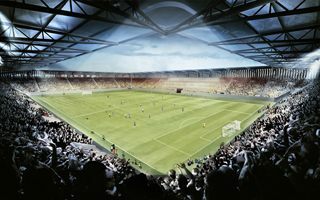 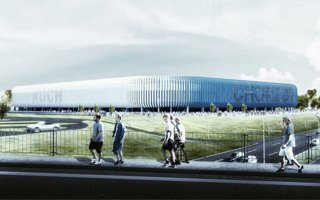 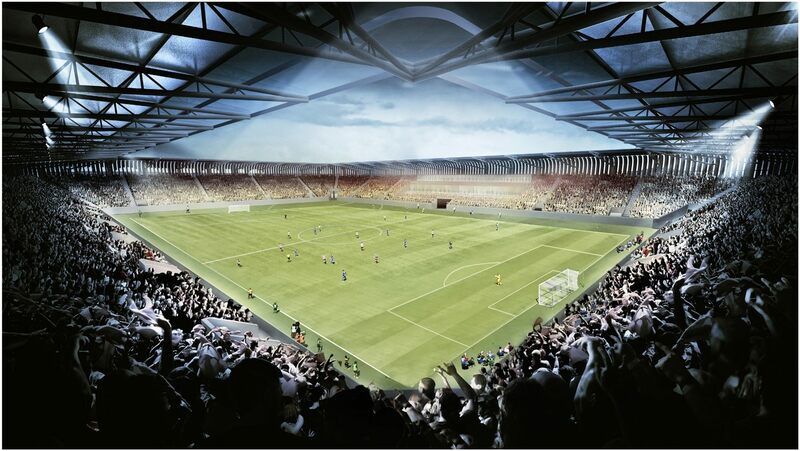 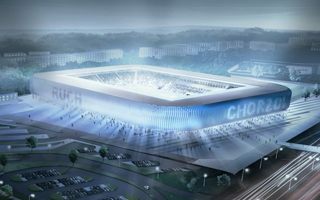 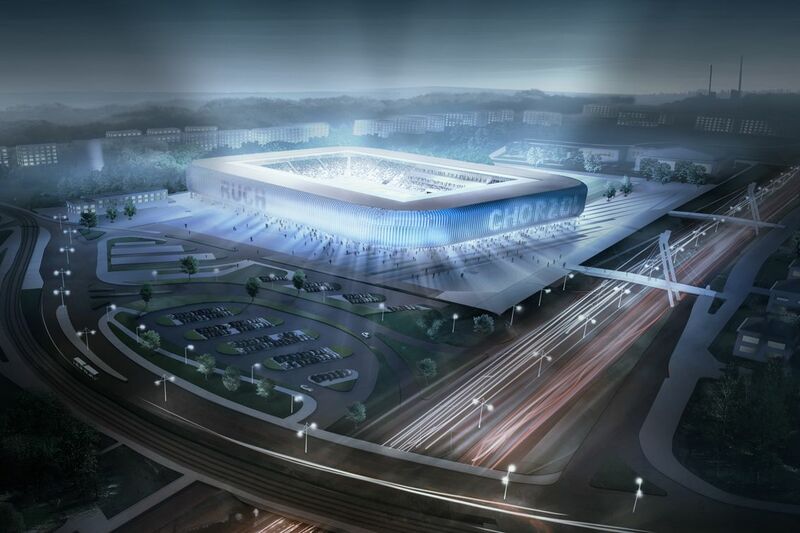 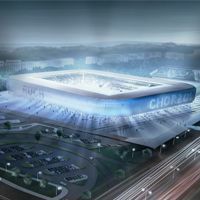 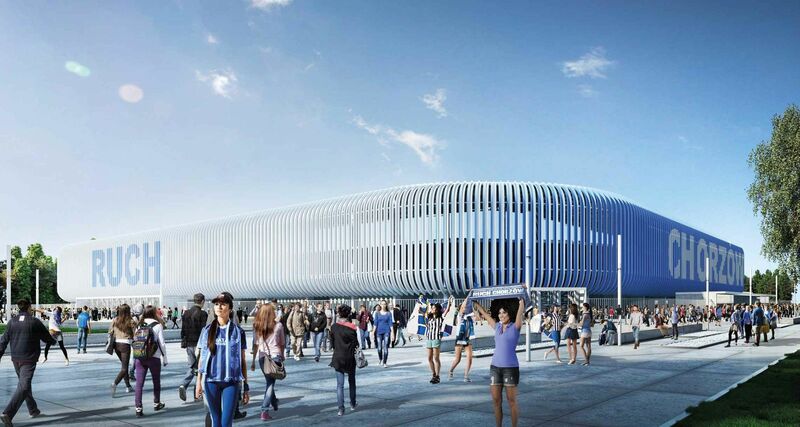 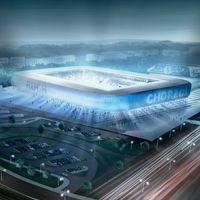 The design won the official international competition launched for Chorzów Municipality in 2013 and is to be the basis of future stadium for 14-time Polish champions Ruch Chorzów. 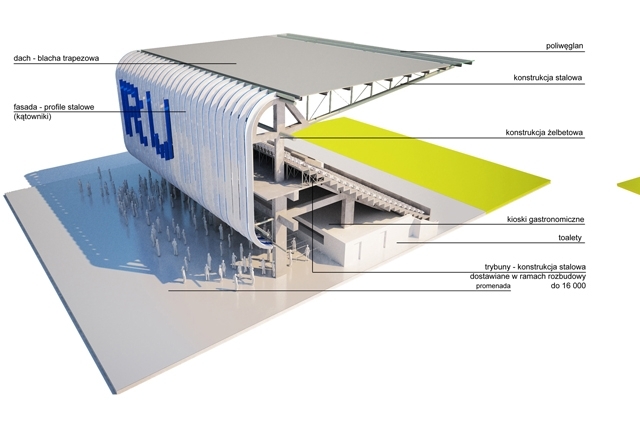 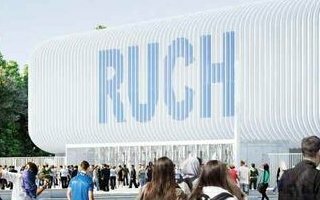 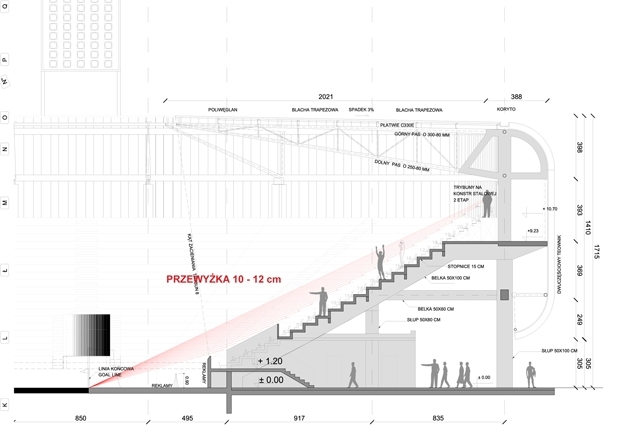 With “Ruch” meaning movement or motion in Polish, the concept by Silesian GMT company aimed at giving passers-by a different perspective from every possible angle as they move along the stadium. 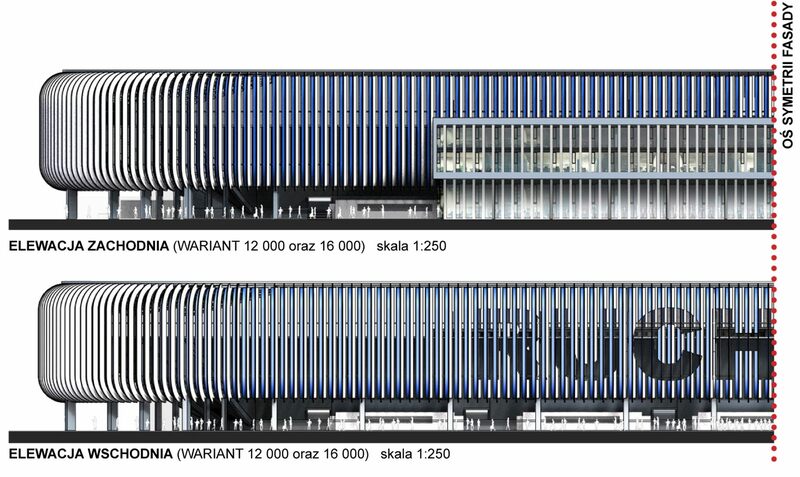 Vertical lamellas are to have two colours: whitish and blue with the names RUCH and CHORZÓW appearing and disappearing as one walks/drives along the façades. 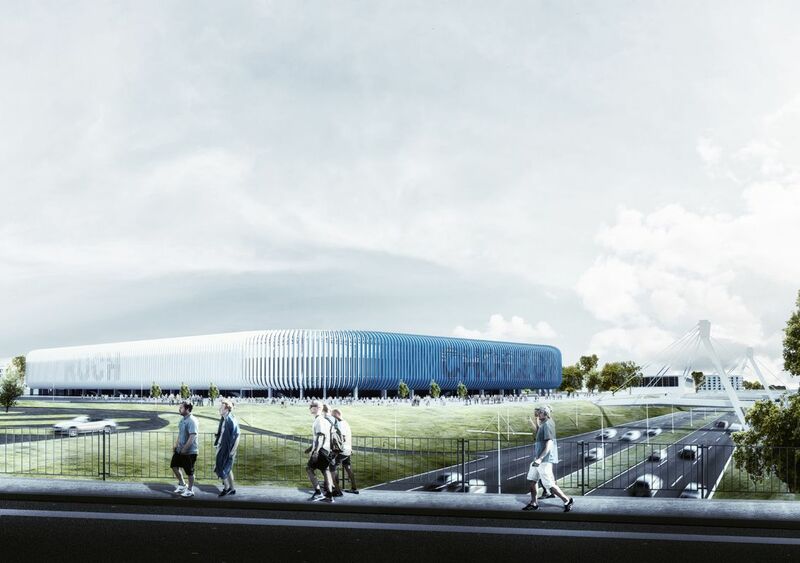 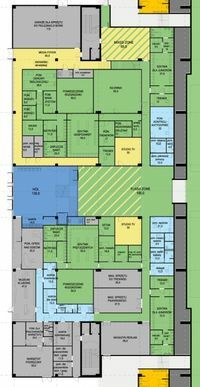 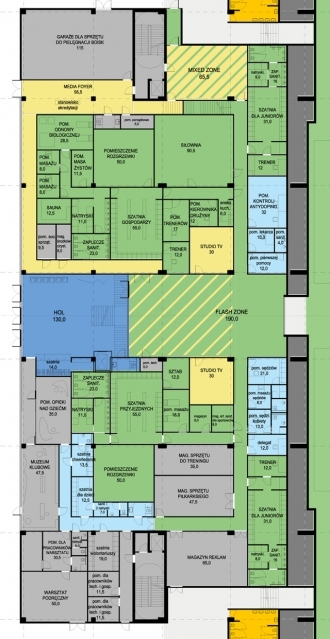 The simple and clean form may not be the most impressive overall, but with strict budget constraints of PLN 96 million was selected as best value for money. 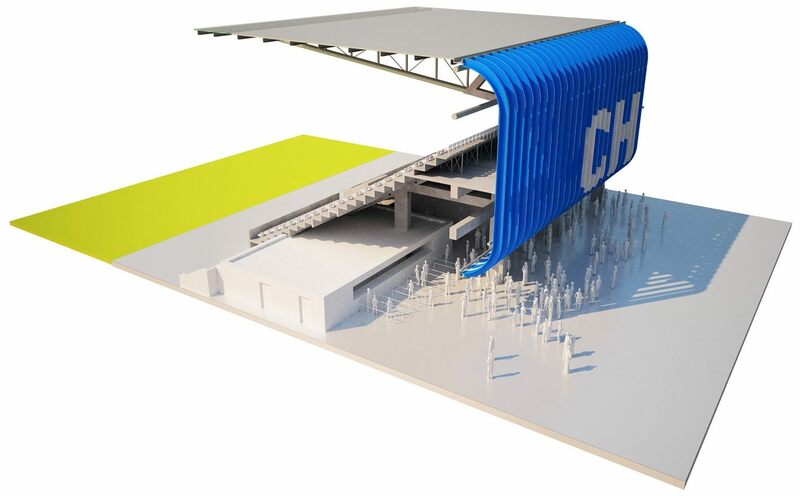 Single-tiered stands are to create a complete bowl of 12,000 seats once the stadium is built, but are also envisaged to be expandable by as much as 4,000 seats by simply adding four rows atop the entire bowl, not changing the integrity of the entire design.